Trunks of Treats at SCBC!!! 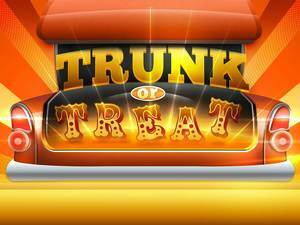 This coming Saturday, October 31, Swiss Colony will be throwing a Trunk-or-Treat outreach ministry in the Family Life Center! We know the name is "Trunk" or Treat, but we decided to move our outreach in-doors to the Family Life Center given the weather forecast for this coming weekend. Grab some candy, come out and join us, and invite your friends, family, relatives and neighbors to come join us too!